In all the hoopla surrounding the importance of live sport and Foxtel’s daring raid on cricket rights, it is easy to overlook the power of some of Foxtel’s other audience magnets. None are any stronger than the Lifestyle group, which has built a library of brands that resonate with subscription TV viewers and keep them coming back for more all year. The flagship of the Lifestyle group is the Beyond-produced Selling Houses Australia, which is midway through its 11th season. The formula is simple and has remained unchanged across the years – real estate, design and gardening gurus Andrew Winter, Shaynna Blaze and Charlie Albone turning an unsellable house into a marketable property. 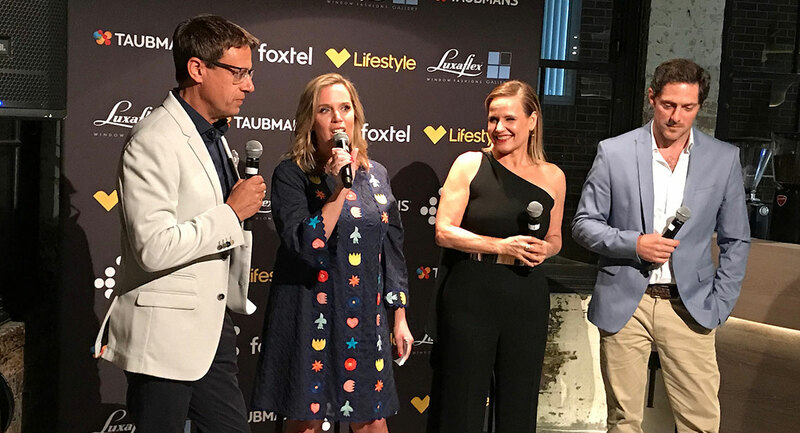 To celebrate its 11th season, Foxtel’s Lifestyle organised a number of dinners where the show’s biggest fans had the chance to meet the hosts, asks questions about the series or their own renos, and even get a photo with the award-winning TV hosts. Lifestyle has held two dinners in Sydney this week at Olio restaurant where the TV series met some of its fans. The general manager of Lifestyle and lifestyle.com.au Hannah Barnes hosted both the fans and the show’s supporters at the second of the two dinners this week. 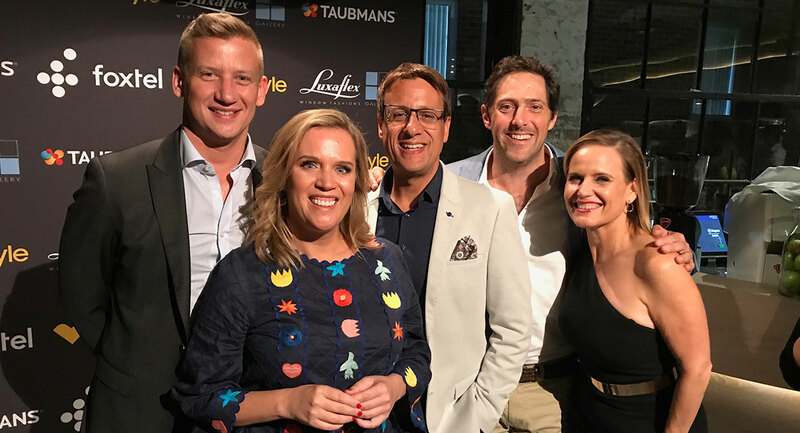 Barnes also acted as MC at the event, displaying considerable talent working the room and interviewing Andrew, Shaynna and Charlie. 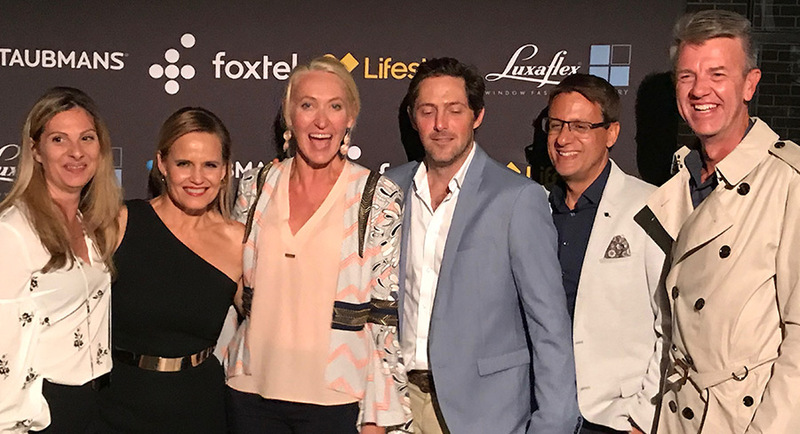 The Foxtel executive spoke with Andrew Winter about the early days of the show as he recalled the memorable first episode, which featured the makeover of a property just south of Sydney. Speaking about the latest season, the hosts revealed their favourite series 11 episodes. Andrew nominated Campwin Beach, Shaynna chose Tahmoor and Charlie opted for Balgownie. The Tahmoor and Balgownie episodes won’t screen until May. Joining Barnes at the Lifestyle dinner were Foxtel head of channels and operations Stephen Baldwin and Foxtel GM of advertising and brand partnerships Andrew Mulready. Film Victoria and Screen Australia are investing with Seven in a new direction for the drama series rebranded The Blake Mysteries. 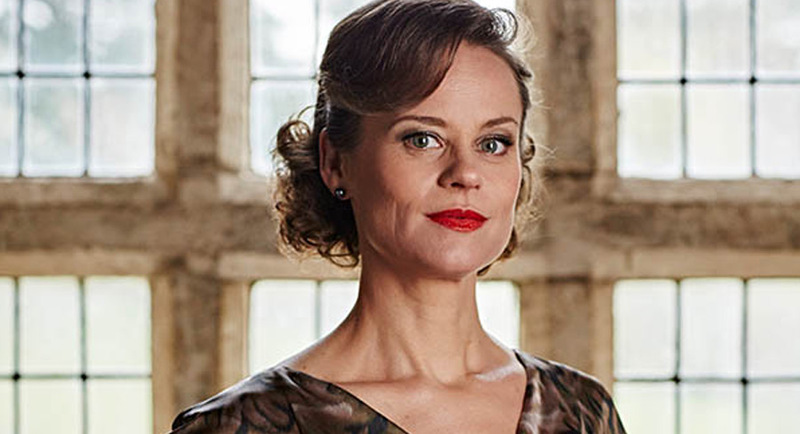 The 90-minute telemovie being made by December Media will now skip three years ahead and focus on The Doctor Blake Mysteries character Jean Beazley (Nadine Garner, pictured above) who will take on the central role in the drama. 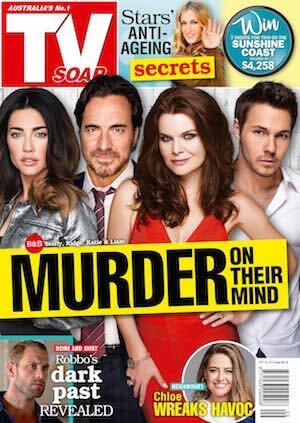 Not returning in his lead role is Craig McLachlan, who has been the subject of harassment allegations. In late January producer December Media conducted an investigation and reported there were no findings of sexual harassment, sexual misconduct or workplace bullying by Craig McLachlan or any other person on the series. 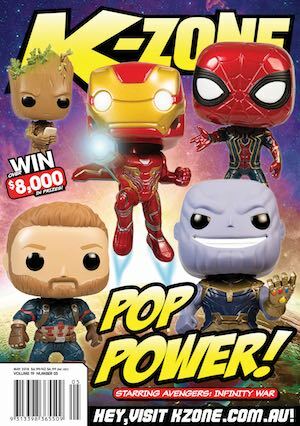 A statement from Film Victoria yesterday claimed Federal and State government support of the popular and successful Victorian-made series will deliver strong economic benefits to regional Victoria and screen businesses, while shoring up employment for approximately 200 Victorian screen workers. Film Victoria CEO Caroline Pitcher said: “Our commitment to The Blake Mysteries is an investment in Victorian screen businesses, crew and associated services who rely on this production for employment and skills development. Film Victoria recently released its updated Victorian screen industry Code of Conduct. The updated Code reflects a zero tolerance approach to unsafe workplace practices and behaviours including discrimination, harassment and bullying. Screen Australia matched Film Victoria’s investment in The Blake Mysteries in an out-of-rounds special funding commitment. “Screen Australia is generally only a direct investor in early seasons of television shows. However, due to the prospect of the Blake franchise not proceeding and the resultant sudden job losses, in this instance we will fund the telemovie as a one-off,” said Sally Caplan, head of production at Screen Australia. The Blake Mysteries is a December Media and Gambit Media production for Seven with principal production investment from Screen Australia and Film Victoria. Nova Entertainment has announced that Gary Roberts, managing director of Nova 93.7 Perth, has tendered his resignation effective from 2 July. Roberts let staff know of his intention this morning. 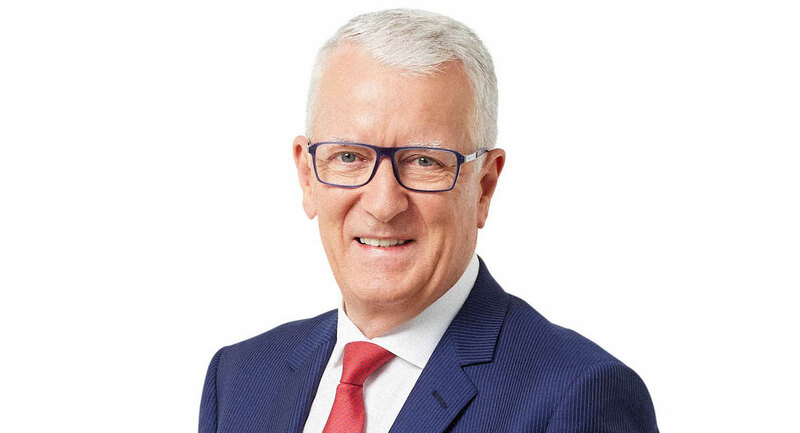 With nearly 50 years’ experience in broadcast media, including 16 years as managing director for Nova 93.7, Roberts has made a major contribution to Nova Entertainment and the radio industry. Before joining Nova 93.7, to launch the iconic Nova radio station in 2002, Gary held long-term positions as managing director at Austereo’s Mix 94.5 and 92.9fm in Perth. He also served on the CRA board for eight years, three of them as chair of Commercial Radio Australia between 1998 and 2000. Jamie Martinovich, Nova 93.7 Perth sales director, will take on the additional interim role of acting general manager until a decision is made about Roberts’ replacement. Mustangs FC, Matchbox Pictures’ children’s comedy drama, has been snapped up by CBBC in the UK and Universal Kids in the US. The series is focused on a group of girls who abandon the sidelines to start their football club’s first all-girl team. The show features Emmanuelle Mattana (Marnie), Ashleigh Marshall (Liv), Monique Heath (Lara), Molly Broadstock (Bella), Gemma Chua-Tran (Anusha) and Celine Ajobong (Ruby), along with Jacek Koman as their coach Danny, Pia Miranda as Marnie’s mother and comedian Celia Pacquola as narrator. Mustangs FC has women taking the lead in every key creative role behind the camera and has given opportunities to young female talent at the start of their careers. More than 60% of the cast and crew are female, with women taking the lead in writing, directing, casting, cinematography, production design, costume and editing. 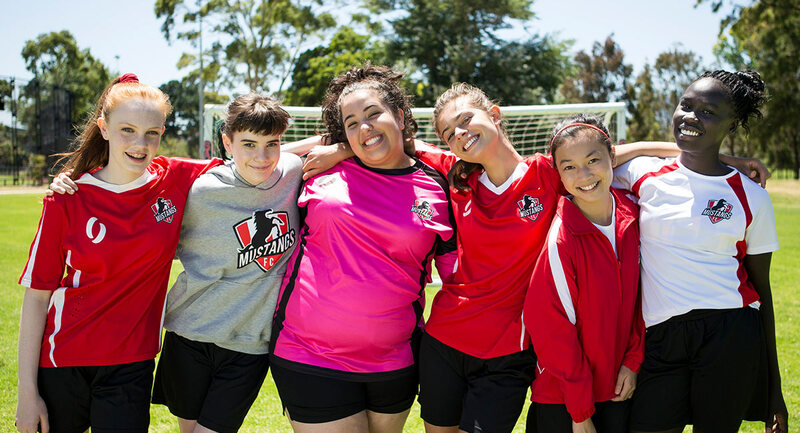 Mustangs FC (which is known as Mighty Mustangs in US) is produced by Matchbox Pictures for ABC Television with production investment funding from Screen Australia in association with Film Victoria. The series is produced by Amanda Higgs and Rachel Davis and is executive produced by Matchbox Pictures’ Debbie Lee and ABC’s Libbie Doherty and Jan Stradling. Season one was written by Michael Miller, Kirsty Fisher, Rae Earl, Warren Clarke and Magda Wozniak. The show is directed by Tori Garrett, Roger Hodgman, Corrie Chen and Fiona Banks. • The Voice gets a sore throat as audience declines – are more streaming? • SBS audiences climb for return of Who Do You Think You Are? 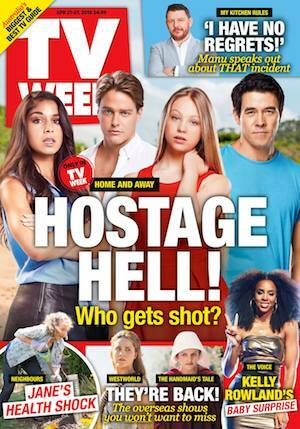 Two nights of Home and Away this week recorded audiences of 784,000 on Monday and 746,000 last night. The audience has been waiting for this My Kitchen Rules blowup for ages. The much-anticipated expulsion finally happens tonight and the drama has built solid audiences this week with 1.31m last night. The war between MKR princesses Jess and Emma and queens Sonya and Hadil fired up after another scathing attack. As the table drama escalated, so too did the scores for the food with siblings Henry and Anna shooting to top place on the leaderboard with a 10/10 lemon tart. They have a total of 86 points, 34 ahead of second-placed Jess and Emma. There had also been much anticipation about the return of Andrew Denton to Seven. The social media commentary was mixed during and after the show. If there was any recurring theme it was that people were happy to have Denton back but perhaps disappointed with the guests on the first episode. The first episode still managed to win its timeslot. Although 500,000+ at that time of night is a reasonable number, the show had a 1.3m lead-in and the audience numbers dropped significantly across the hour, just as they would though on most programs now at that time of night. Grey’s Anatomy followed on 144,000. Blowing a $200k inheritance on drugs and clothes plus supermarket technology were the most intriguing stories on A Current Affair, which did 839,000 after 859,000 on Monday. Episode three of The Voice saw the series deep into the Blind Auditions with a former contestant creating a bit of a fuss last night. The numbers have dropped significantly each night this week and are down also from week one last year where all made it over 1m. Indeed it wasn’t until episode 12 in 2017 that the audience dipped (just) below 1m. The crowd last night was the smallest ever for the format. Episode seven of Date Night then did 239,000. The 2006 Jennifer Aniston movie The Break-Up followed with 117,000. Daniel Ricciardo and Tommy Little were telling their stories on The Project with the Tuesday episode on 560,000. Episode 11 of Bachelor In Paradise featured Jarrod and Keira’s first date with 660,000 watching after 676,000 a week ago and 676,000 on Monday. Hughesy, We Have a Problem then did 459,000 followed by two NCIS: Los Angeles episodes on 264,000 and then 166,000. Under the consumer microscope on The Checkout were issues around buying a mattress and transaction fees for online shopping. The episode did 387,000 after 417,000 a week ago. The final episode of Employable Me Australia did 434,000 followed by a repeat of Louis Theroux: Drinking To Oblivion, which did 255,000. A new local series of Who Do You Think You Are? 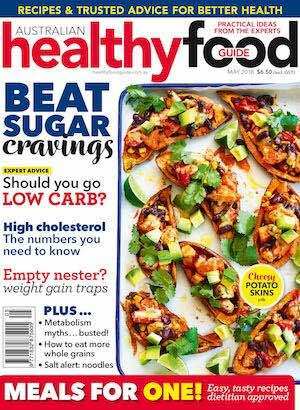 launched at 7.30pm with Noni Hazlehurst featured. 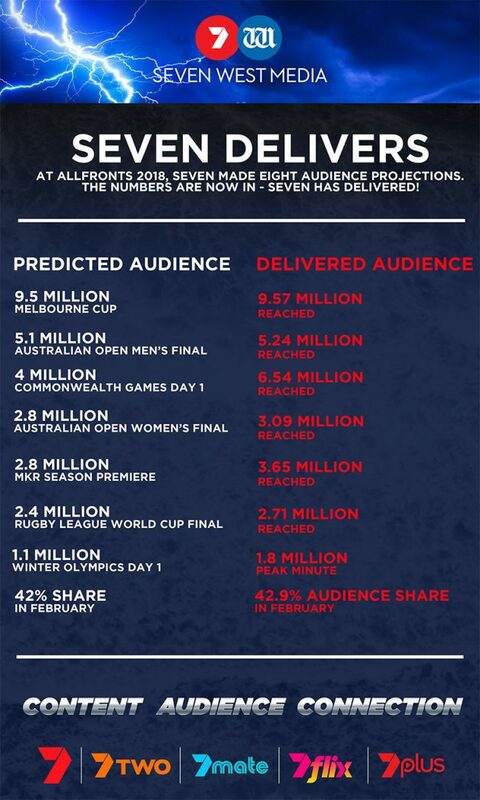 The series returned with an audience of 430,000, which is the best SBS audience so far this year. An episode of Insight subtitled Weddings, Dollars and Dowries then did 267,000. Southern Cross Austereo has promoted Nathan Soulsby to head of TV sales – Sydney. The announcement comes after Kristen Budd’s move to general manager of SCA’s Central Coast office. Caretaking the role during Budd’s maternity leave, SCA said Soulsby has been a key contributor to the consistent share and revenue growth that has put SCA ahead of the market. Previously group sales manager, Soulsby has been with SCA for just under two years. SCA’s national head of television sales Will Allen said: “Nathan’s experience and passion for leadership will see him build upon Kristen’s great work, and lead the team to even greater heights. Soulsby’s appointment takes effect immediately. The journalists’ union has slammed the Daily Mail over its sacking of a young reporter who “accidentally” published an obscenity, reports The Australian’s Dana McCauley. 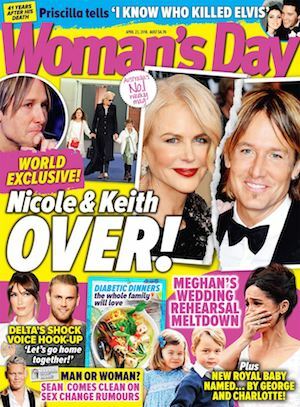 MEAA spokeswoman Katelin McInerney blamed the news and entertainment website’s lack of editorial oversight for the faux pas, which saw an article describing a reality television contestant as a “vapid c-” published on Sunday – remaining live for more than two hours. 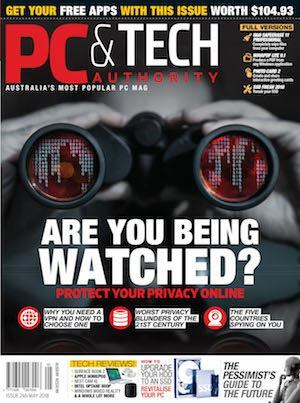 Daily Mail Australia executive editor Lachlan Heywood hit back, saying the publisher was “a significant employer of young – and senior – journalists in Australia at a time when the industry is suffering from widespread cutbacks”. Heywood said the union had not contacted the Mail “to find out the full details” before releasing its statement. However, he did not offer any specific clarification. Moss is cautious about the label “feminist” when it comes to the performances she has given and the characters she has played. “I feel like any time you’ve got to play a strong, complicated woman, then it tends to start [being labelled] a feminist role and, actually, it’s just a strong woman,” she says. “Obviously in Mad Men there’s a very specific feminist story there, and then, of course, with The Handmaid’s Tale, you can’t get much more feminist than that,” she says. The ABC has renewed the comedy series Tonightly, with a second run expected to hit television screens in just two months’ time, reports Fairfax Media’s Broede Carmody. Tonightly came under fire from Communications Minister Mitch Fifield last month after broadcasting a controversial skit that saw an Australian Conservatives candidate labelled a “c—” on national TV. Dan Ilic revealed on Monday he had been appointed Tonightly’s new showrunner. The comedian has been a satirist for Al Jazeera and hosted popular web series That Startup Show. The cross-platform TV Demand charts as measured by Parrot Analytics are largely unchanged this week. Stranger Things and The Walking Dead remain locked at #1 on the Digital Original and Overall TV Shows charts in Australia and New Zealand. 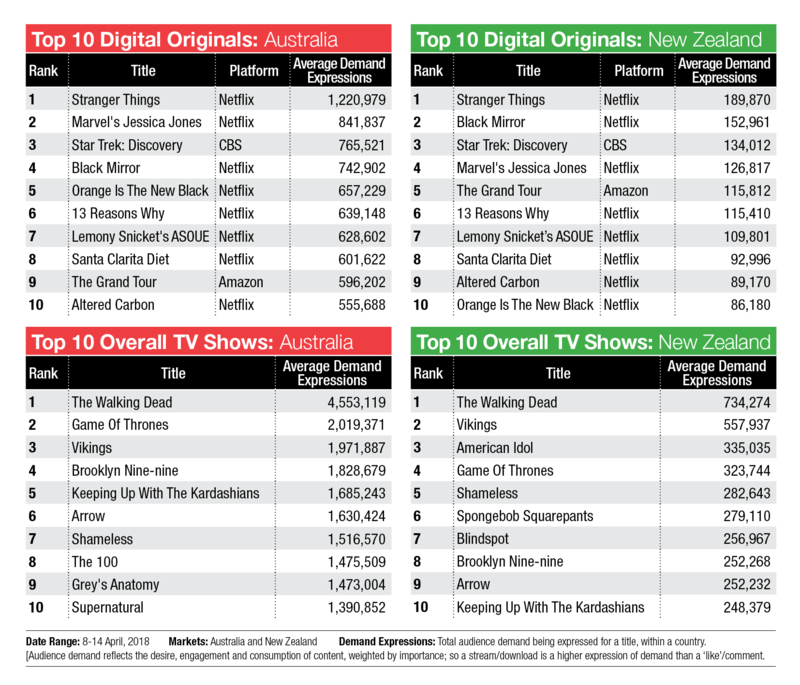 Programs streamed by Netflix in both markets fill nine of the top 10 spots on the Digital Originals charts – Amazon’s The Grand Tour is the odd one out. 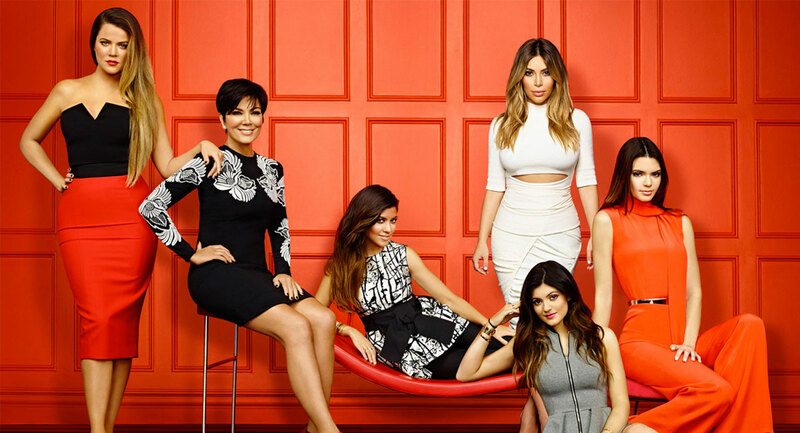 A familiar brand that returned to the Overall TV Shows chart in both markets this week was Keeping Up With The Kardashians. The chart resurgence comes just days after Khloe Kardashian claimed she would be leaving the popular TV show and as she gave birth to her first child. 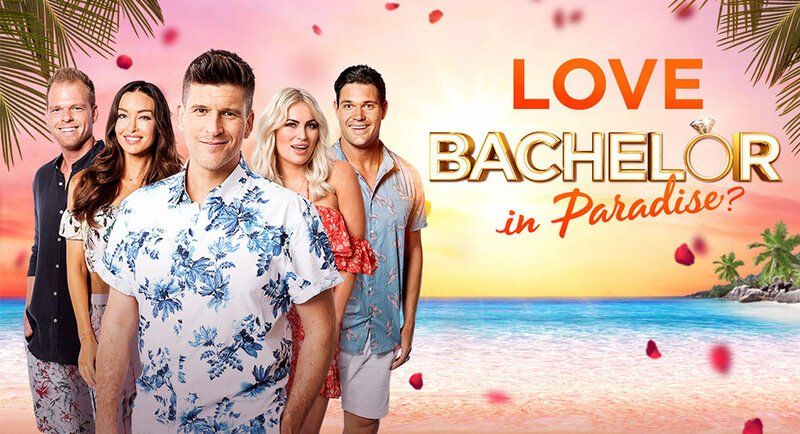 In an attempt to fix what has turned out to be a mess of a series, Bachelor In Paradise producers have thrown the rule book into the South Pacific ocean and are now just making it up as they go along, comments News Corp’s James Weir. After three contestants decided to leave on a whim during Monday night’s episode, it was too late to cancel that evening’s rose ceremony so we also waved goodbye to Canadian intruder Thomas. He arrived on the island only about 30 minutes before the ceremony but he wasn’t given a rose and we don’t make the rules, we just enforce them. So, Monday night saw a mass culling. SBS Radio has launched two new digital radio stations and refreshed its SBS Radio 3 channel, all available on digital television from today. 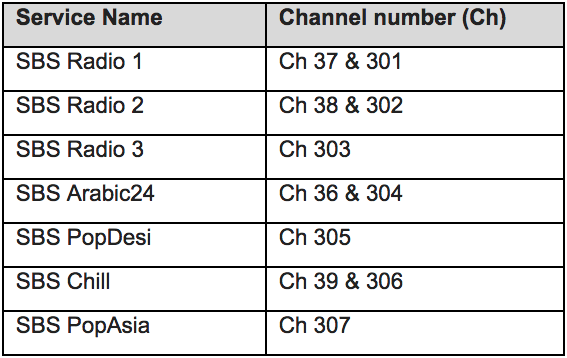 The two new stations are SBS PopAsia and SBS PopDesi. The two new 24-hour music channels celebrate music from different genres for Australian audiences. SBS PopAsia will focus on Asian pop, including from Korea (K-Pop), Japan (J-Pop) and China (C-Pop). SBS PopDesi will feature a selection of Indian music hits from bhangra to Bollywood. Meanwhile, the SBS Radio 3 refresh will see the channel broadcast news from the BBC World Service (previously airing on SBS Radio 4), as well as special events coverage. Following the introduction of these new digital radio stations, VAST (Viewer Access Satellite Television) audiences will have access to all SBS Radio services – SBS Radio 1, SBS Radio 2, SBS Radio 3, SBS Arabic24 and music channels SBS PopAsia, SBS PopDesi and SBS Chill. Some viewers may be required to retune their televisions in order to receive the newly launched channels. Other televisions will automatically detect changes to the channels and retune. Most televisions, set-top boxes, personal video recorders (or PC tuner cards) purchased from 2009 onwards will be compatible.